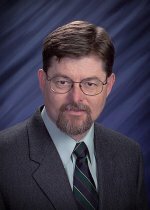 Congratulations to Dr. Jay Grate at Pacific Northwest National Laboratory on being named a Fellow in the Electrochemical Society for his contributions to chemical sensors and the scientific community. The nonprofit professional society, which has more than 8,000 members from over 70 countries, advances electrochemistry and solid-state science, and provides educational opportunities. Since the mid-1980s, Grate has been a leader in developing chemical sensors. He pioneered a systematic understanding of vapor-polymer interactions critical to the selectivity of polymer-coated vapor sensors. Further, he developed methods to convert array responses into molecular descriptors. The result was the knowledge needed to select or rationally design polymers for sensors and arrays. His work also led to an understanding of the possibilities and limitations of polymer-coated sensors and the information they could provide. At PNNL, he pioneered radionuclide sensors for alpha and beta emitters in water; these sensors selectively collect radionuclides for radiometric detection in pre-concentrating mini-column sensors. Grate has volunteered countless hours in service. At ECS, he participated in developing the Society's Sensor Division. He has served on the division's executive committee since its inception, with activities from developing symposia to revising bylaws. Also, he recently served on the Linford Award committee. Beyond the society, he has been invited to participate in workshops on chemical sensing, chemical measurements, and threat detection. He has worked with the National Research Council, National Science Foundation, and the U.S. Department of Energy, among others. A prolific author and inventor, Grate has written or co-written over 130 peer-reviewed articles and invited reviews along with 15 book chapters. He has 20 patents to his credit, in areas including separations, sensing polymers, vapor preconcentration, and biocatalysis. Several of these patents have been licensed through various mechanisms with PNNL's commercialization organization. Grate will accept his fellowship in Cancun, Mexico, at the fall society meeting.